Categories: Growth harmone inhibitor, O, Taj Brands. Tags: growth harmone inhibitor, injection, O, octapeptides. •	In acromegaly, a condition where the body produces too much growth hormone. Normally, growth hormone controls growth of tissues, organs, and bones. Too much growth hormone leads to an increase in the size of bones and tissues, especially in the hands and feet. PROSTATIN markedly reduces the symptoms of acromegaly, which include headache, excessive perspiration, numbness of the hands and feet, tiredness, and joint pain. •	To relieve symptoms associated with some tumours of the gastrointestinal tract (e.g. carcinoid tumours, VIPomas, glucagonomas, gastrinomas, insulinomas). In these conditions, there is overproduction of some specific hormones and other related substances by the stomach, bowels, or pancreas. This overproduction upsets the natural hormonal balance of the body and results in a variety of symptoms, such as flushing, diarrhoea, low blood pressure, rash, and weight loss. Treatment with PROSTATIN helps to control these symptoms. •	To prevent complications following surgery of the pancreas gland. Treatment with PROSTATIN helps to lower the risk of complications (e.g. abscess in the abdomen, inflammation of the pancreas gland) after the surgery. •	To stop bleeding and to protect from re-bleeding from ruptured gastro-oesophageal varices in patients suffering from cirrhosis (chronic liver disease). Treatment with PROSTATIN helps to control bleeding and reduce transfusion requirements. – after radiotherapy, to cover the interim period until the radiotherapy becomes fully effective. 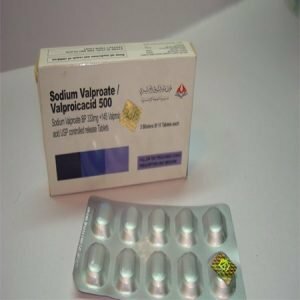 – if you are allergic to octreotide or any of the other ingredients of this medicine (listed in section 6). – if you know that you have gallstones now, or have had them in the past; tell your doctor, as prolonged use of PROSTATIN may result in gallstone formation. Your doctor may wish to check your gallbladder periodically. – if you have problems with your blood sugar levels, either too high (diabetes) or too low (hypoglycaemia). When PROSTATIN is used to treat bleeding from gastro-oesophageal varices; monitoring of blood sugar level is mandatory. – if you have a history of vitamin B12 deprivation your doctor may wish to check your vitamin B12 level periodically. There is little experience with the use of PROSTATIN in children. You can generally continue taking other medicines while on PROSTATIN. 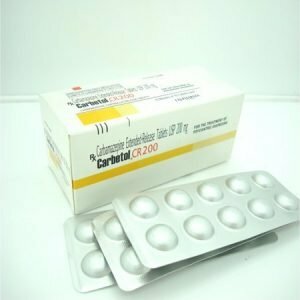 However, certain medicines, such as cimetidine, ciclosporin, bromocriptine, quinidine and terfenadine have been reported to be affected by PROSTATIN. If you are taking a medicine to control your blood pressure (e.g. a beta blocker or a calcium channel blocker) or an agent to control your fluid and electrolyte balance, your doctor may need to adjust the dosage. If you are diabetic, your doctor may need to adjust your insulin dosage. PROSTATIN should only be used during pregnancy if clearly needed. Women of child-bearing age should use an effective contraceptive method during treatment. Do not breast-feed while using PROSTATIN. It is not known whether PROSTATIN passes into breast milk. PROSTATIN has no or negligible effects on the ability to drive and use machines. However, some of the side effects you may experience while using PROSTATIN, such as headache and tiredness, may reduce your ability to drive and use machines safely. •	intravenous (into a vein) infusion. Your doctor or nurse will explain to you how to inject PROSTATIN under the skin, but infusion into a vein must always be performed by a health care professional. No life-threatening reactions have been reported after overdose of PROSTATIN. The symptoms of overdose are: irregular heartbeat, low blood pressure, cardiac arrest, reduced supply of oxygen to the brain, severe upper stomach pain, yellow skin and eyes, nausea, loss of appetite, diarrhoea, weakness, tiredness, lack of energy, weight loss, abdominal swelling, discomfort and high level of lactic acid in the blood. If you think that an overdose has happened and you experience such symptoms, tell your doctor straight away. Administer one dose as soon as you remember, and then continue as usual. It will not do any harm if you miss a dose, but you could get some temporary re-appearance of symptoms until you get back on schedule. Do not inject a double dose of PROSTATIN to make up for forgotten individual doses. If you interrupt your treatment with PROSTATIN your symptoms may come back. Therefore, do not stop using PROSTATIN unless your doctor tells you to. If you have any further questions on the use of this medicine, ask your doctor, nurse or pharmacist. •	Gallstones, leading to sudden back pain. •	Too much sugar in the blood. •	Underactive thyroid gland (hypothyroidism) causing changes in heart rate, appetite or weight; tiredness, feeling cold, or swelling at the front of the neck. •	Changes in thyroid function tests. •	Inflammation of the gallbladder (cholecystitis); symptoms may include pain in the upper right abdomen, fever, nausea, yellowing of the skin and eyes (jaundice). •	Too little sugar in the blood. •	Thirst, low urine output, dark urine, dry flushed skin. •	Hypersensitivity (allergic) reactions including skin rash. •	A type of an allergic reaction (anaphylaxis) which causes difficulty in breathing or dizziness. •	An inflammation of the pancreas gland (pancreatitis); symptoms may include sudden pain in the upper abdomen, nausea, vomiting, diarrhoea. •	Liver inflammation (hepatitis); symptoms may include yellowing of the skin and eyes (jaundice), nausea, vomiting, loss of appetite, generally feeling unwell, itching, light-coloured urine. Tell your doctor straight away if you notice any of the side effects above. Tell your doctor, pharmacist or nurse if you notice any of the side effects listed below. They are usually mild and tend to disappear as treatment progresses. •	Stomach discomfort after meal (dyspepsia). •	Feeling of fullness in the stomach. •	Change in liver function tests. If you get any side effects, please tell your doctor, nurse or pharmacist. A few people experience pain at the site of the subcutaneous injection. This pain usually lasts a short time. If this happens to you, you can relieve this by gently rubbing the site of injection for a few seconds afterwards. If you are administering PROSTATIN by subcutaneous injection, it may help to reduce the risk of gastrointestinal side effects if you avoid eating meals around the time of injection. It is therefore recommended that you inject PROSTATIN between meals or when you go to bed. In the long term the ampoules and multidose vials should be kept in the fridge (between 2◦C and 8◦C). Keep in the original packaging to protect them from light. Do not freeze the multidose vials. You can keep a few ampoules at room temperature away from direct heat for up to two weeks. If you do not use a whole ampoule return what is left to your pharmacist. Once you have started a multidose vial you can store it at room temperature away from direct heat for up to two weeks. You can use your multidose vial up to 10 times. Return any remaining to your pharmacist if you have not used it within two weeks. – The active substance is octreotide acetate. – The other ingredients are lactic acid, mannitol, sodium hydrogen carbonate and water for injection. PROSTATIN is a clear, colourless solution, and is available in ampoules containing 50, 100 micrograms in 1 ml. PROSTATIN is also available 500 micrograms in 1 ml and in a multidose vial containing 1 mg octreotide in 5 ml (provides 0.2 mg octreotide in 1 ml). PROSTATIN Ampoules come in packs containing 5 ampoules. The multidose vials are available in packs containing 1 vial.